Published: Dec. 19, 2010 at 11:11 p.m.
M.Crosby kicks 45 yards from GB 30 to NE 25. D.Connolly to GB 4 for 71 yards (R.Francois). 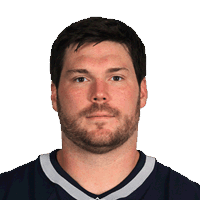 Published: Dec. 19, 2010 at 10:13 p.m.
Patriots Right Guard Dan Connolly returns a squib kick 71 yards almost scoring a touchdown. It is the longest kickoff return by an offensive lineman in NFL history.